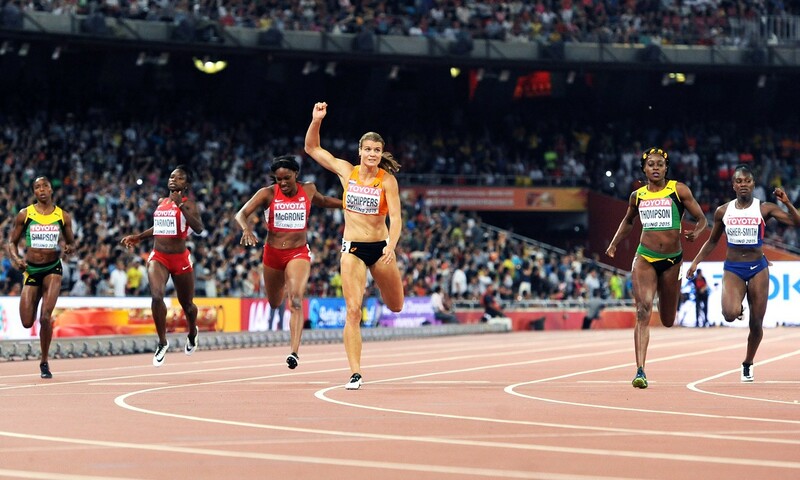 After battling for the 200m title in Beijing last summer, the “flying Dutchwoman” Dafne Schippers and Jamaica’s Elaine Thompson will line up for a ‘world championships rematch’ at the ExxonMobil Bislett Games on Thursday (June 9). Schippers won gold ahead of Thompson in China – 21.63 to 21.66 – and the field’s two sub-22 second sprinters could challenge Gwen Torrence’s long-standing meeting record of 21.94 from 1994 as the Diamond League moves on to Norway for its seventh meet of 2016. Britain’s Jodie Williams also lines up to race the half-lap event. The iconic Dream Mile events take place either side of the women’s 200m and Asbel Kiprop, fresh from his 1500m victory in a 3:29.33 world-leading UK all-comers’ record in Birmingham, leads the men’s field as he looks to gain a fifth victory in this race. The world champion faces his fellow Kenyan Elijah Manangoi, who was third behind winner Kiprop in Eugene’s Bowerman Mile, plus Olympic champion Taoufik Makhloufi and Ethiopia’s Aman Wote, while Britain’s Charlie Grice, who ran an almost two-second PB to win the ‘national’ mile event in Eugene in 3:52.64, is also entered. There had been talk of world 1500m record-holder Genzebe Dibaba targeting the mile world record in the women’s event, but the Ethiopian is no longer on the entry lists. Kenya’s world 1500m silver medallist Faith Kipyegon won over that distance in Shanghai and Eugene, setting Kenyan records at both events, and is among those lining up, with Britain’s Laura Muir included in the field and Jenny Meadows as pacemaker. Ethiopia’s Muktar Edris leads the world 5000m rankings with his 12:59.43 from Eugene and forms part of a line-up also featuring his compatriots Dejen Gebremeskel, Hagos Gebrhiwet and Yomif Kejelcha, plus Kenyans Thomas Longosiwa and Edwin Soi. World record-holder Renaud Lavillenie again goes up against world champion Shawn Barber in the pole vault, while the javelin features Olympic champion Keshorn Walcott and world champion Julius Yego. The discus also includes the Olympic champion and the world champion, with Sandra Perkovic and Denia Caballero in the field. Entries in the high jump include Levern Spencer and Ruth Beitia, while world champion Joe Kovacs goes in the shot put. Kim Collins, who recently achieved his aim of going sub-10 seconds as a 40-year-old with a 9.93 PB in Germany, will look to continue his winning ways in the 100m after his victory in Birmingham, while the 100m hurdles again has a top field with Brianna Rollins, Sally Pearson and Britain’s Tiffany Porter. Other Britons in action include Shara Proctor in the long jump, Jade Lally in the discus and Anyika Onuora in the 400m.